I love how Angela is looking at Jason as she says her vows that she had on her phone. Angela and Jason were married at the Seattle Municipal Court in front of the family and friends. It was a beautiful day for a wedding as we walked around downtown Seattle for their portraits after the ceremony. Seattle Courthouse wedding of Juan and Nadege with portraits at Kubota Garden. Nadege and Juan were married on the rooftop deck of the Seattle Municipal Court. 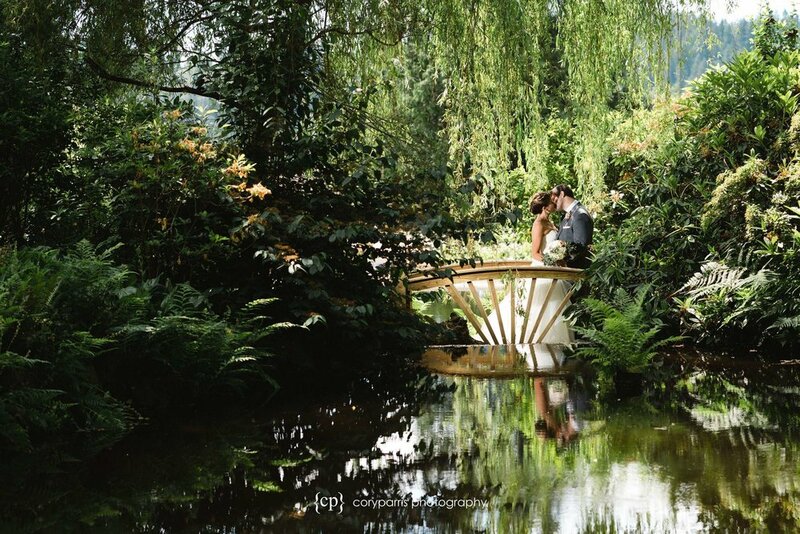 After the wedding at the courthouse, we went to Kubota Garden for some portraits. Adriana & Maurizio married on MV Skansonia ferry on Lake Union in Seattle! I first met this family 19 years ago when I did newborn portraits for their middle child. He is going off to college in a few days. Check out their latest portraits! 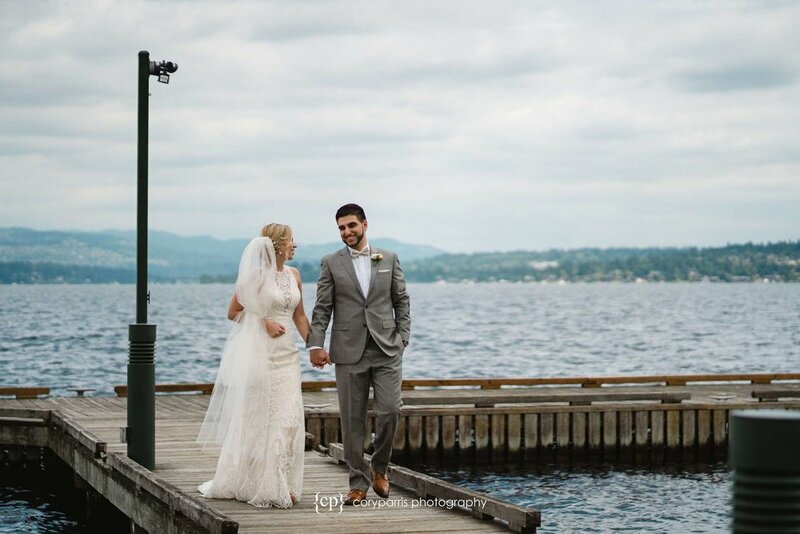 Robyn and David see each other for the first time before their wedding at the Landing at Tyee in Seattle. 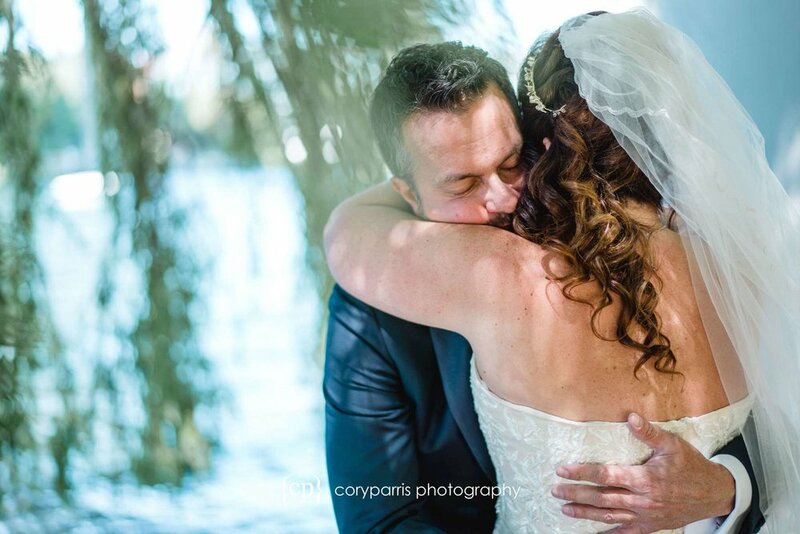 Robyn and David had a beautiful day for their wedding at The Landing at Tyee. After getting ready they saw each other for the first time underneath the giant Willow tree at South Passage Point Park down the block from The Landing at Tyee. Then we went for a boat ride around Lake Union and came back to The Landing at Tyee for the wedding and reception. Klaudia and Justin's engagement portraits at Marrymoor Park in Redmond. Klaudia and Justin are getting married in less than a month! 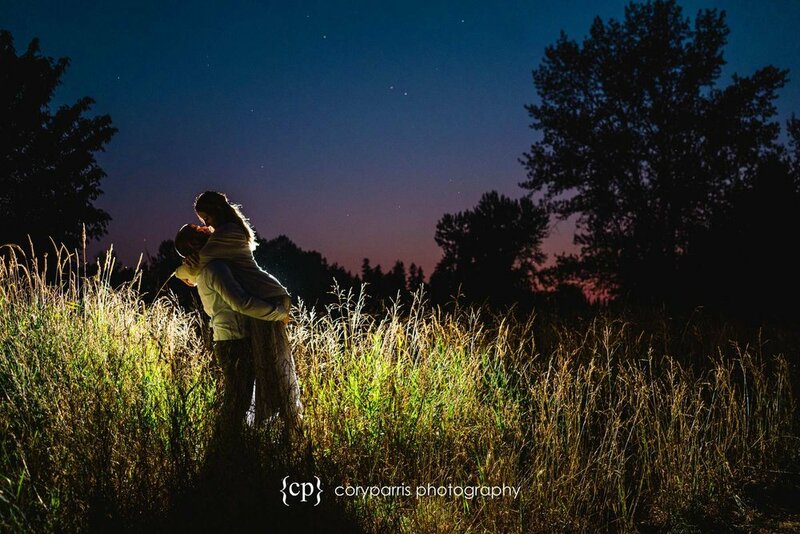 I met them at Marrymoor Park in Redmond for some evening and sunset engagement portraits. Seattle Courthouse wedding of Chelsey and Robin! I met Chelsey and Robin at the Seattle Municipal Court for their wedding. It was a beautiful (hot) day. 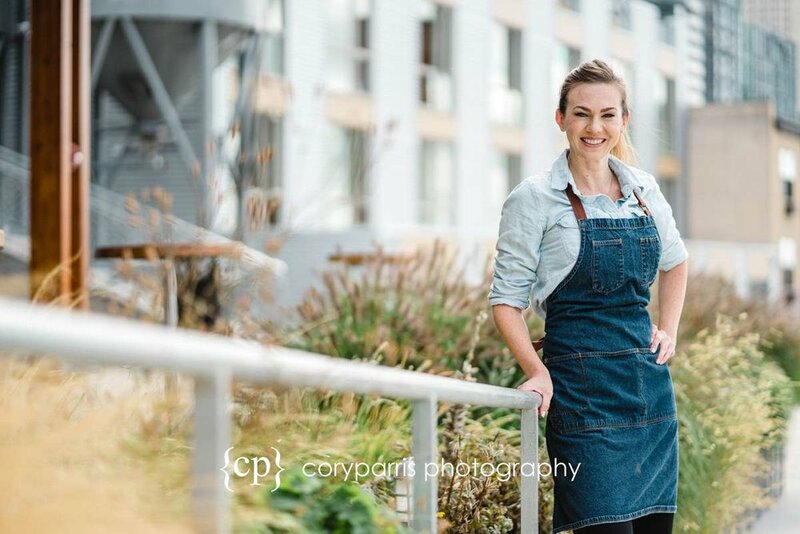 We walked around downtown Seattle for their portraits with their puppy before heading to the Seattle Courthouse where they had a wedding on the rooftop deck. Angela and Poy are a great couple with a very fun group of family and friends. We started the day at the Seattle Sheraton where they were getting ready. It was raining so we took the first set of portraits around the hotel and under the eaves on the streets of Seattle around the Sheraton. Then the 60 of us got onto a bus to go a few blocks to the Seattle Municipal Court for the wedding ceremony. I believe they were the biggest group to have a wedding at the Seattle Courthouse to date. 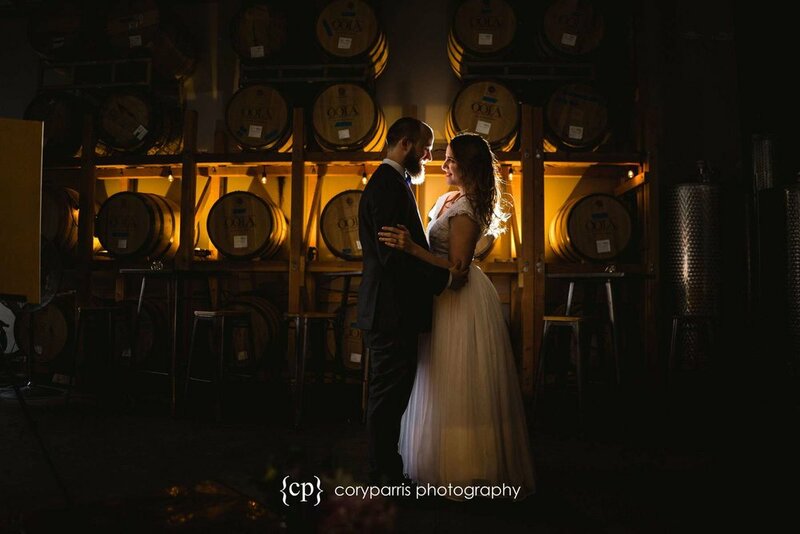 Ashley & Trevor had a beautiful wedding day at DeLille Cellars. For this image, I used a flash in addition to the natural light to create this one. I first met Diana and Brad several years ago when I photographed their wedding. They had an awesome R2-D2 cake! 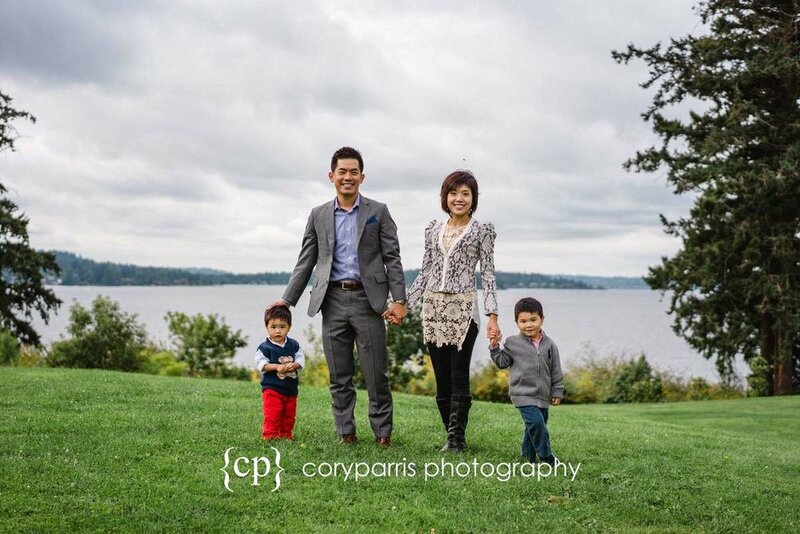 Now they have an adorable little boy, so I met them for some family portraits at Evans Creek Preserve in Redmond. Check out how cut their little man is!